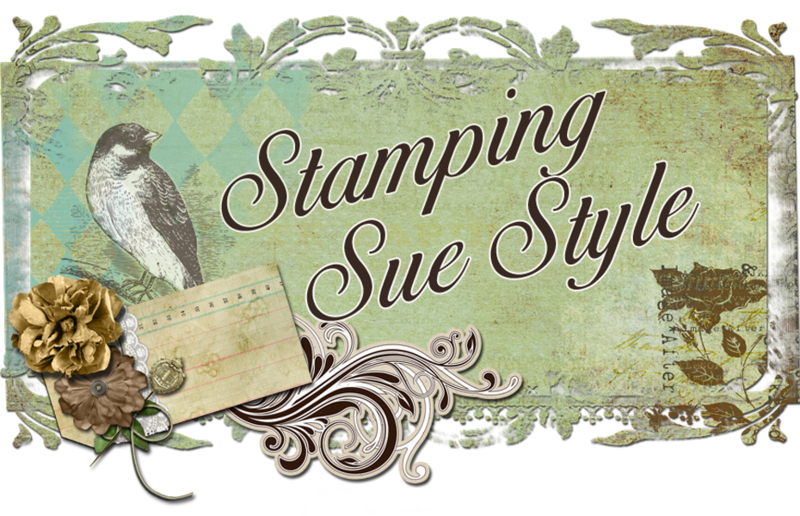 Stamping Sue Style: Think pink ! 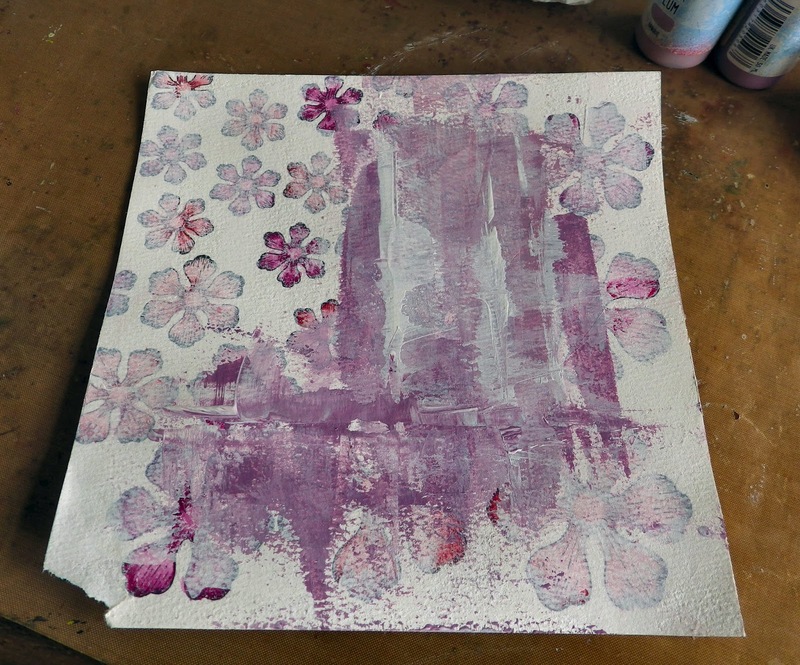 For this challenge we would love to see a mixed media project that has some pink in it somewhere! The possibilities are endless! 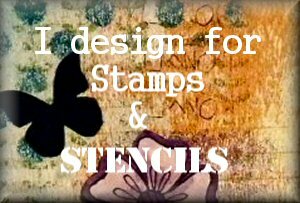 Don't forget to include some stamping or stencilling or both in your mixed media project! We can't wait to see what you create! 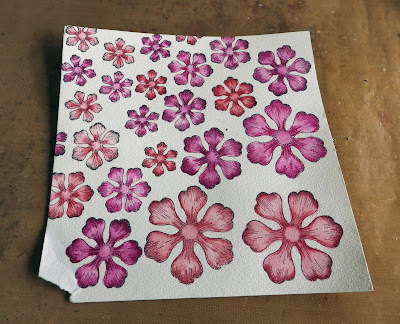 I started this journal page quite by accident, I was just playing around with my Inktense pencils which led to me stamping lots of flowers onto a piece of Prima watercolour paper and then colouring/painting them. Last year I signed up for the Donna Downey Inspirational Wednesday online videos and although I didn't finish every page I did learn different techniques and also how to be a little 'freer' when thinking about what to do next on projects. 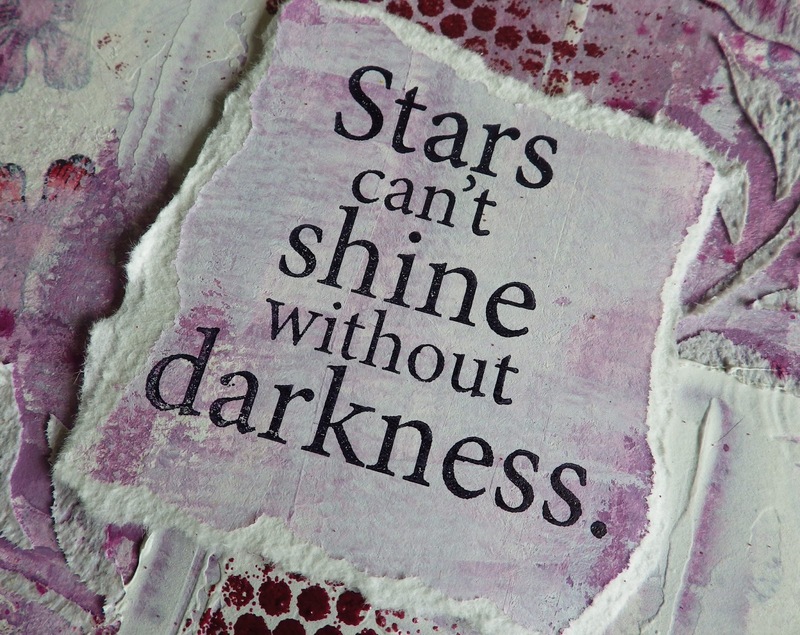 With this in mind I grabbed an acrylic block and dipped it into some Gesso and swiped it across the page. Loved this instantly as it knocked back the colour of the flowers but didn't obliterate them and also started to build some texture. I carried on swiping across the page this time dipping the block into Fresco Finish paints, Sour Grapes and Sugar Plum. 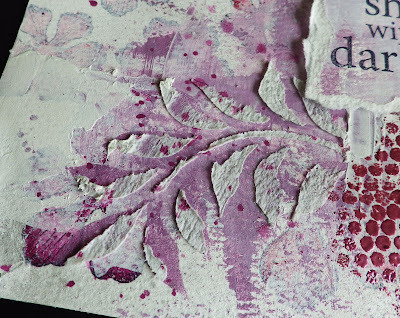 I used the new Lin Brown stencil and stencilled using Sour Grapes the leaves, then with Fibre Paste spread it over the stencil but not covering it all, and being quite quick. I've splashed some Sour Grapes over the page which you can see on the above photo. 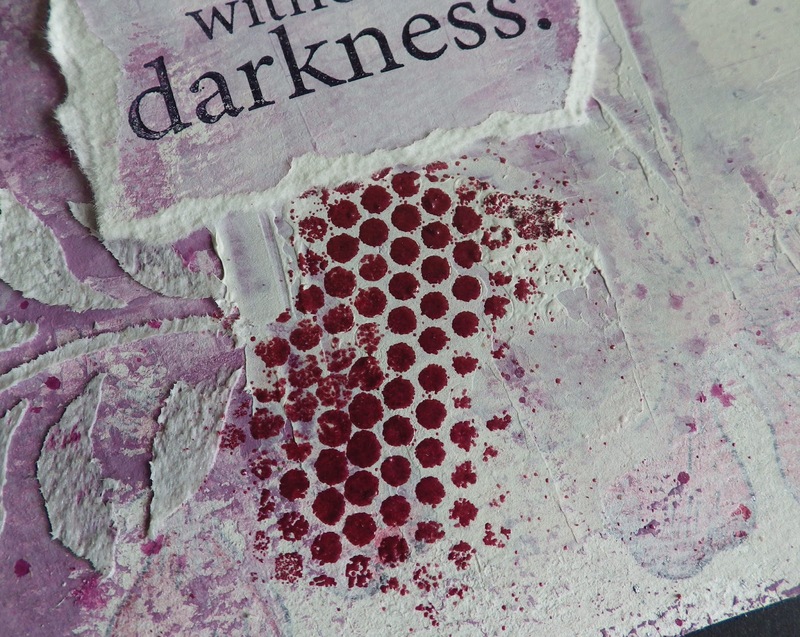 I also sprayed the page with silver Lindy's Stamp Gang spray, which you can't see too well. 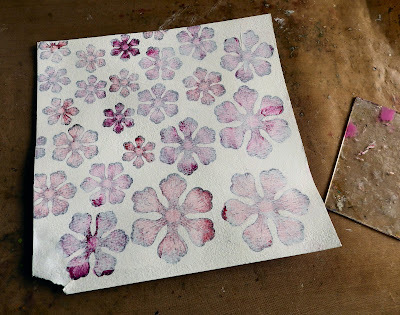 The Fibre Paste dried with a wonderful papery like texture and matched the texture of the watercoour paper. 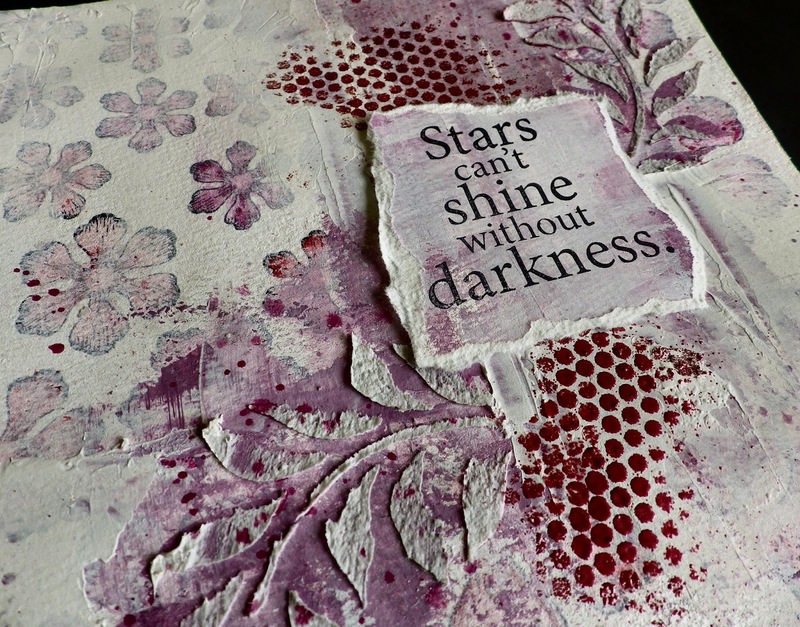 I used a piece of sequin waste and pressed Versamark over it then sprinkled on some embossing powder, brushing away some areas so it wasn't too perfect. The sentiment is another Yvonne Blair stamp and it's stamped on to a piece of the watercolour paper that I've done the swiping thing on with Gesso and Fresco Finish paints. I've torn the edges and then used foam pads to stick it to the page. This is the first page in a new journal, if you saw this post you'll have seen the cover for the new journal. 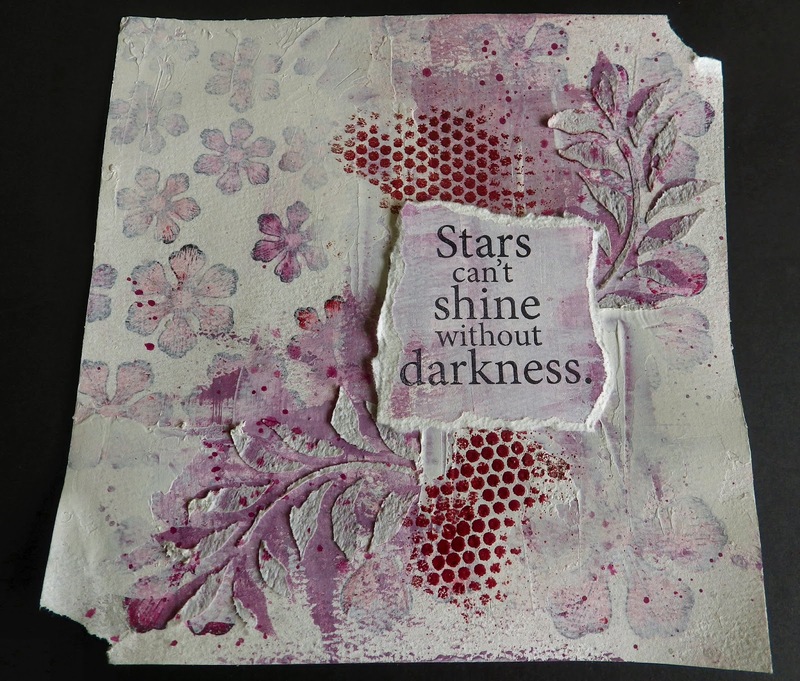 I hope you get chance to join us for this challenge and do make sure you hop over to the Stamps and Stencils blog to see the rest of the DT's fabulous projects. Thanks for sharing the background technique Sue. It looks great with all that lovely texture and then the colour layers! Beautiful page altogether. Definitely pretty in pink - the opening look was really bold and then that lovely layer of gesso softened the whole thing so that the quote and the texture can really shine.